Well Christmas morning arrived as all the kids were opening up their gifts, my wife hands me a gift and tells me that this gift had come in the mail a couple of days ago and she thought she would hide it till Christmas.....Well it was a nice surprise because it was my Custom straight from Robert Williams. This one is a 7/8 square point 1/4 hollow, with a hammered spine and some jimping. The scales are done from a dark Buffalo horn.....This will be a nice one to add to my rotation! Very Nice! I love the deep and wide jimping and the hammered spine gives a bit more character without overdoing it. A very Merry Christmas for you! The craftsmanship on his razors is outstanding. Absolutely beautiful. Enjoy that Beauty Wallace. The hammered spine is Fantastic! (12-26-2014, 04:32 PM)RunWithScissors Wrote: Very Nice! I love the deep and wide jimping and the hammered spine gives a bit more character without overdoing it. 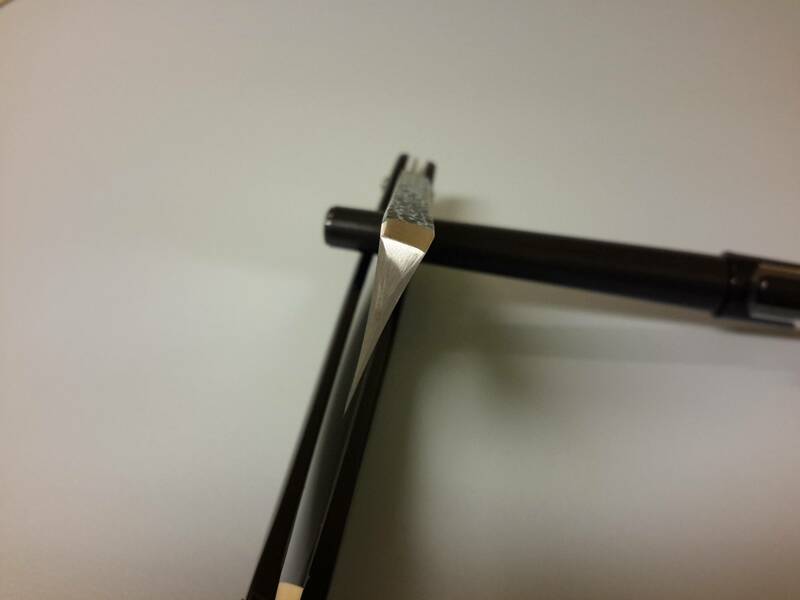 (12-26-2014, 04:36 PM)evnpar Wrote: The craftsmanship on his razors is outstanding. Absolutely beautiful. (12-26-2014, 04:37 PM)eengler Wrote: Enjoy that Beauty Wallace. The hammered spine is Fantastic! Thanks Ed, I am enjoying the hammered spine also! Very nice, who wouldn't be happy to add such a beauty to his rotation! That is such a great gift! Happy holidays to you and your family. (12-26-2014, 11:36 PM)Snuff Wrote: Very nice, who wouldn't be happy to add such a beauty to his rotation! (12-26-2014, 11:51 PM)C-NoEviL Wrote: That is such a great gift! Happy holidays to you and your family. Wallace, that is a beautiful razor, congratulations. 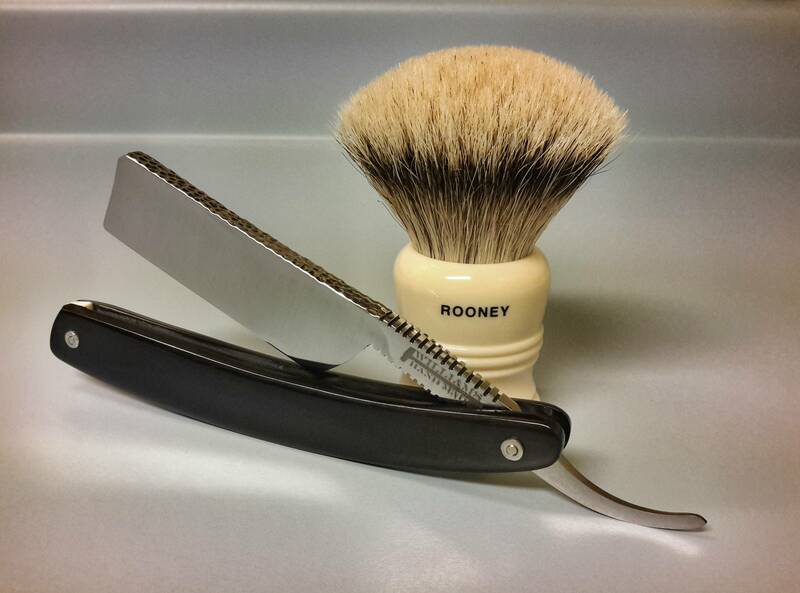 If I had a razor this nice, my rotation might just become a rotation of one. Enjoy! (12-27-2014, 12:18 AM)jamesrobson5 Wrote: Wallace, that is a beautiful razor, congratulations. 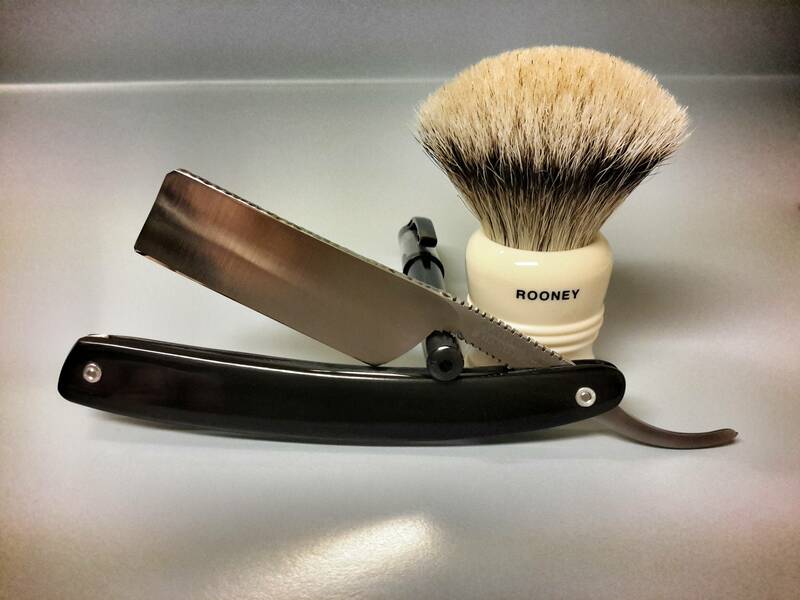 If I had a razor this nice, my rotation might just become a rotation of one. Enjoy! Very nice indeed. Understated elegance. Jimping and hammering is a perfect example of hand-craftsmanship. Really nice. Hammered spine for the win! The workmanship is outstanding and it is surely a using razor! Enjoy it! (12-27-2014, 04:23 AM)Shaun Wrote: Very nice indeed. Understated elegance. Jimping and hammering is a perfect example of hand-craftsmanship. Really nice. (12-27-2014, 05:37 AM)MikekiM Wrote: Hammered spine for the win! (12-27-2014, 09:56 AM)geezer Wrote: Congratulations! Wallace, congratulations on a beautiful blade! Robert does such amazing work and that spine and jimping are wicked! 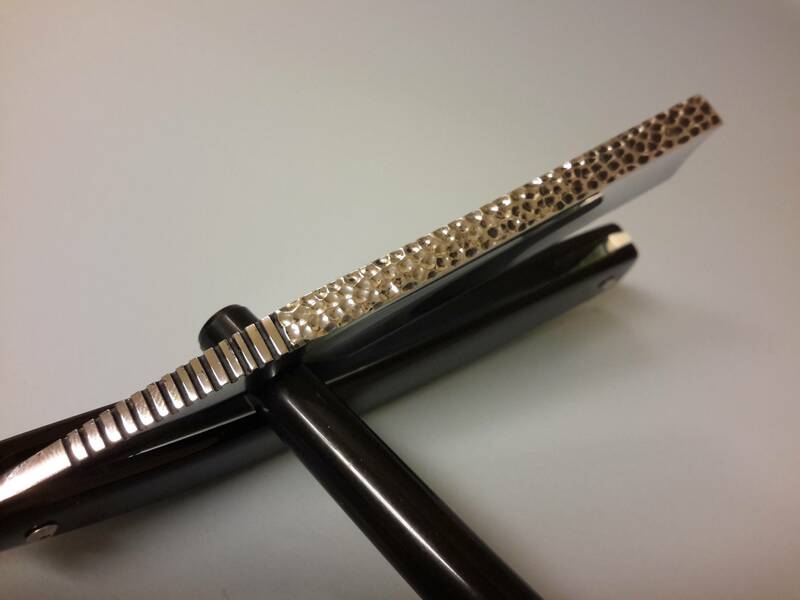 (12-27-2014, 01:56 PM)celestino Wrote: Wallace, congratulations on a beautiful blade! Robert does such amazing work and that spine and jimping are wicked! Lovely blade, I really like the aggressive jimps and hammered spine. (12-28-2014, 06:04 PM)Doc226 Wrote: Lovely blade, I really like the aggressive jimps and hammered spine. Wallace you've got yourself another beautiful razor, enjoy.